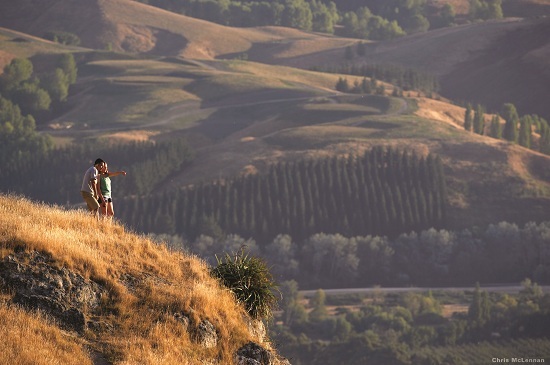 Frankie, the blogger behind As the Bird Flies, tells us about her two week road trip through New Zealand. Warning: This post WILL make you want to pack your bags and explore this beautiful country in a campervan. 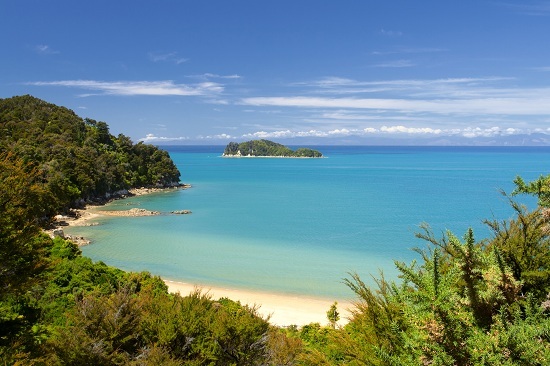 If you're tempted, take a look at our New Zealand self-drive holidays and keep an eye out for the golden coin. Click the Twitter button below the coin and you could win tickets to see the new Hobbit movie and a Hobbit goodie bag! 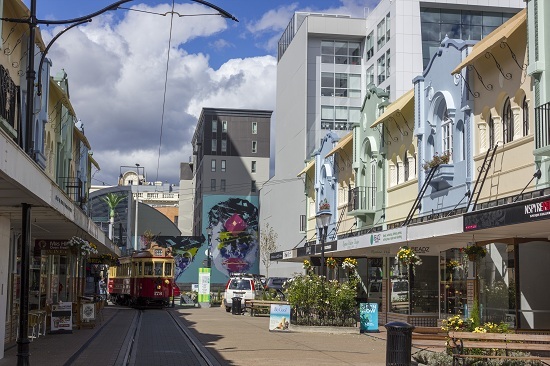 Fly into Christchurch and spend a day and a night in the city before picking up your van. Be sure to absorb the recent history of the earthquake that shook the city in 2011 and applaud the resilience of the local people in rebuilding and adapting their city. 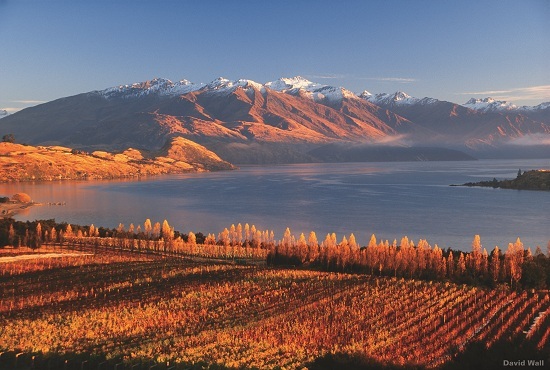 It's time to hit the road and this five-hour drive will take you past a few of the incredibly blue lakes that the South Island is famous for. Stop for lunch in Taupo and make sure you get to Wanaka in time to have a walk by the lake there. It's a short one-hour's drive to Queenstown, but this means you have time to stop at Arrowtown, a historic settlement that grew from the gold rush. Afterwards you’ll join a road, which climbs and crosses the Crown Range mountains, one of the most picturesque roads in New Zealand and the country's highest. 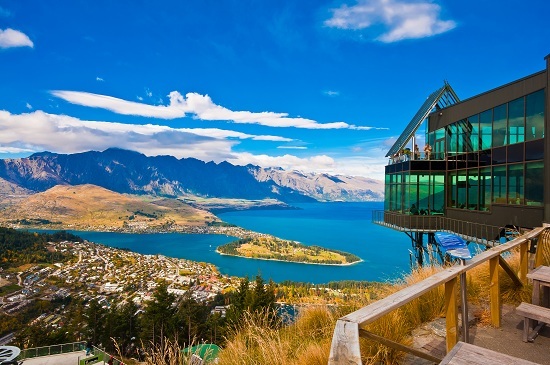 Queenstown is the adventure, backpacking and party capital of South Island, so you'll need at least a day to either recover or squeeze in all the bungee jumps, jet boat rides and mountain biking. For the less adventurous I recommend a gentle(ish) hike up to the top of Queenstown Hill for brilliant views. 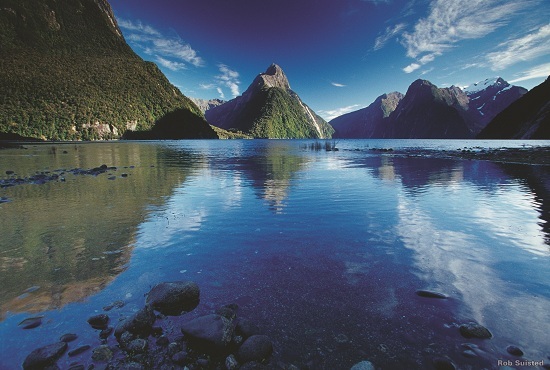 Heading further south, Te Anau is the nearest town to Milford Sound, one of New Zealand's famous fjords. 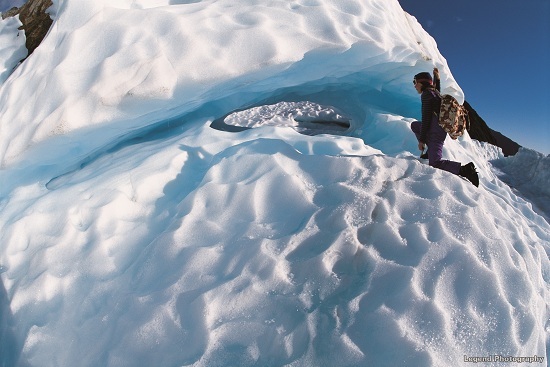 Ferry tours are the easiest way to see this natural wonder, but kayaking is also on offer. The drive to and from Milford Sound is pretty spectacular and watch out for the Kia Ora birds on top of cars pecking away at the roof; it sounds a lot more frightening than it looks! On the opposite end of Lake Wakatipu to Queenstown is the small town of Glenorchy and a dirt track away from this is the idyllic Kinloch Lodge where you can camp for next to nothing and indulge in a delicious home-cooked meal in the Lodge's restaurant all with stunning lake views on your doorstep. A word of warning, cover up; sand flies also love the views at Kinloch Lodge and they are always hungry too! The longest drive we did (around seven hours), we timed it so that we could stop at Fox Glacier on the way. The last few hours of this drive are very special, taking in the ocean views of the South Island’s west coast. Rapahoe is a small village just north of Greymouth, where you will be perfectly placed to go see the nearby famous "Pancake Rocks" (Punakaiki) the following morning. Our pitch the night before we caught the ferry across to the North Island, we had to drive around four hours to get here and then spent the afternoon on the beach in the Abel Tasman National Park before enjoying some international cuisine in the surprisingly cosmopolitan city of Nelson. 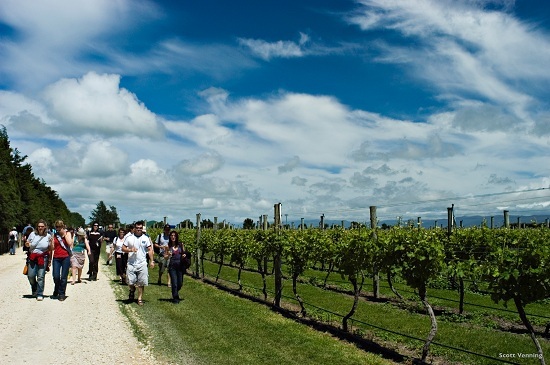 Despite really wanting to spend a night in Wellington we drove straight off the boat - an impressive journey in itself - and headed northeast to Martinborough, a wine growing region often overlooked thanks to its similar sounding cousin, Marlborough. The perfect place to take a day off driving and try a few wines! Keeping it cultural we drove another 200 miles to Napier in Hawke's Bay, a city that is famous for its art deco architecture. The reason the city boasts so much art deco is because Napier was flattened in vicious earthquake in 1931 and subsequently rebuilt in the style that was à la mode at the time. It's now considered to be one of the art deco capitals of the world, alongside Miami. 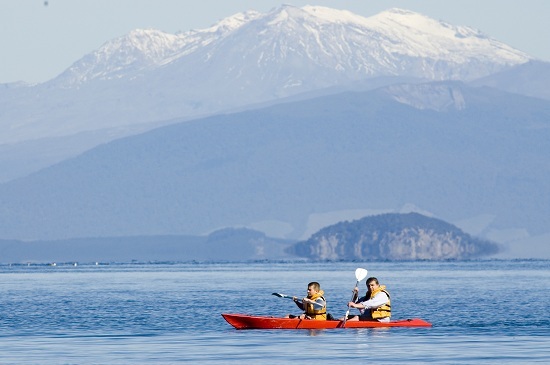 It's only a short drive from Napier to Taupo, considered to be the Queenstown of the North Island with plenty of adrenaline fuelled activities on offer. 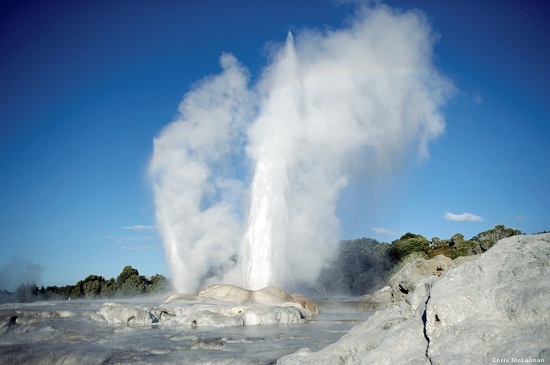 This is also where all the fascinating geothermal activity can be seen explored and less pleasantly, smelt. Spend an hour at the Craters of the Moon before visiting the Huka Falls where you can go on a short "tramp" (Kiwi for hike!) along the river which links to a thermal spring that you can swim in. Before leaving Taupo, spend the morning in the Taupo Hot Springs, which will ease you into your short drive north to Rotorua. With geothermal activity visible everywhere - from street corners to gardens - there are lots of activities to do here. We spent the afternoon at Te Whakarewarewa, a Maori village where Maori women traditionally lead tours as they have been for over a century. Their predecessors were considered to be the first tour guides of New Zealand. After a few days of not too many long drives we took the very scenic route to Auckland by driving across to Raglan on the west coast and then heading north to New Zealand's biggest city. Raglan is a funky town renowned for its laid-back surfer vibe and we would perhaps have liked to have stayed longer. 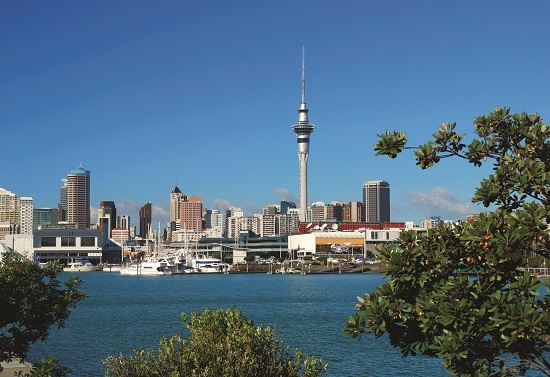 But Auckland is a city worthy of at least two days for exploring as well as taking stock of all the things you have seen in the previous two weeks. Frankie is a Londoner turned wanderer who has been travelling since October 2011 with her Australian boyfriend and too many vintage dresses. Frankie’s blog As the Bird flies…documents her travels and her love affairs with cycling cities, flea markets and stylish travel. Frankie is a freelance writer and the author of fiction inspired by travel.